Well you guys. It finally happened. I married my very best friend! And I’m back from our eastern Caribbean honeymoon, refreshed and ready to bring you some pretty awesome posts in the next few weeks, but first I want to share some of the highlights of our wedding with you guys. 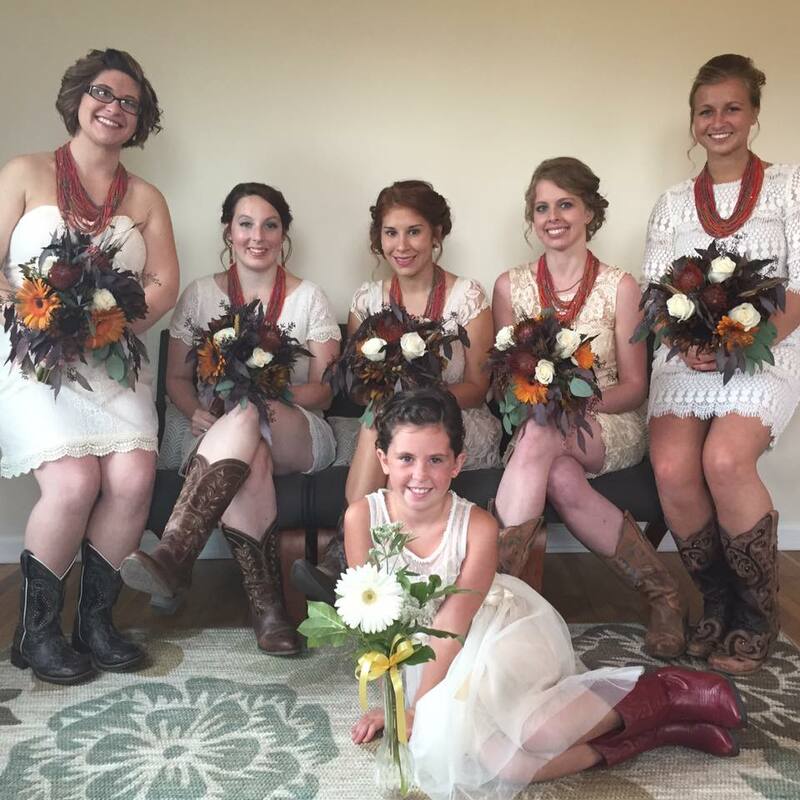 My AgriEnergy family did a pretty good job of calming this bride down in the thick of planning and some even helped out with the flowers. So naturally I have to share some highlights, right?! 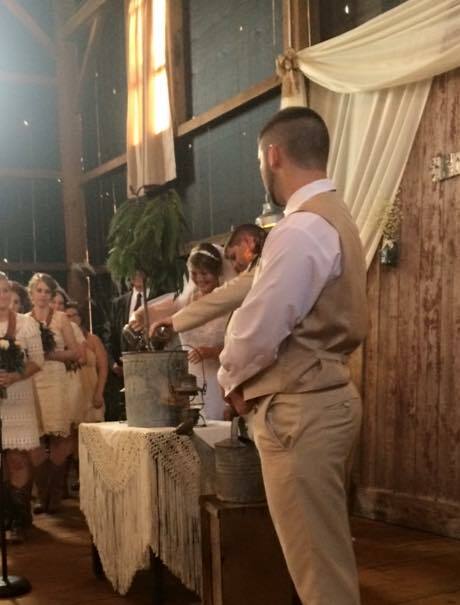 Saturday, September 5, 2015 was destined to be the best day. I jumped out of bed, hopped in the car with my sister (who was also the best maid of honor ever), jammed out to Dixie Chicks “Chapel of Love” drinking my Starbucks coffee labeled “Bride.” Yep, I set the tone off right. Words can’t even describe how the rest of the day played out, even if it was 90+ degrees. It was better than anything I had ever dreamed. Typing this gives me goosebumps! It was so neat to see everyone’s hard work pay off. Brian and I poured ourselves into every single little detail of our wedding and it was so neat. 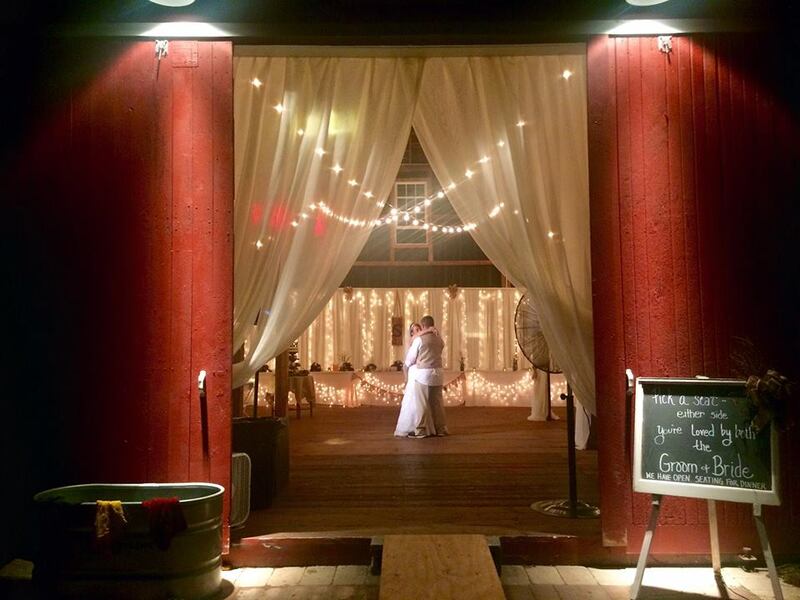 We got married in a barn. But first there were so many little details. Agriculture runs strong in both our families, which I hope we portrayed in everything we did. Like the sunflowers, for example. We were able to grow some, but a special shoutout to one of our very own agronomists Eric Johnston. 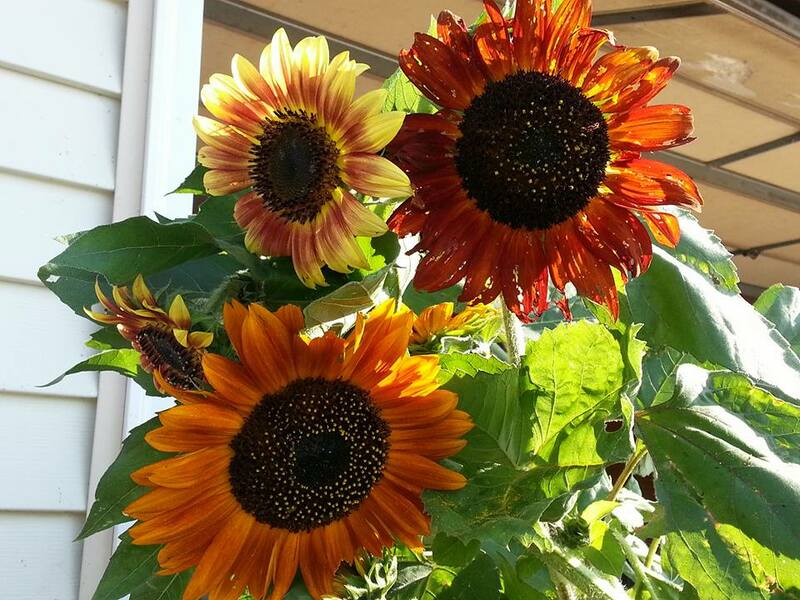 His family helped out with the remaining sunflowers to finish the centerpieces. He is currently growing sunflowers in a cover-crop blend. And the apples. Oh the apples. We had a caramel apple bar, apple cider slushies, and caramel apple cake pops. 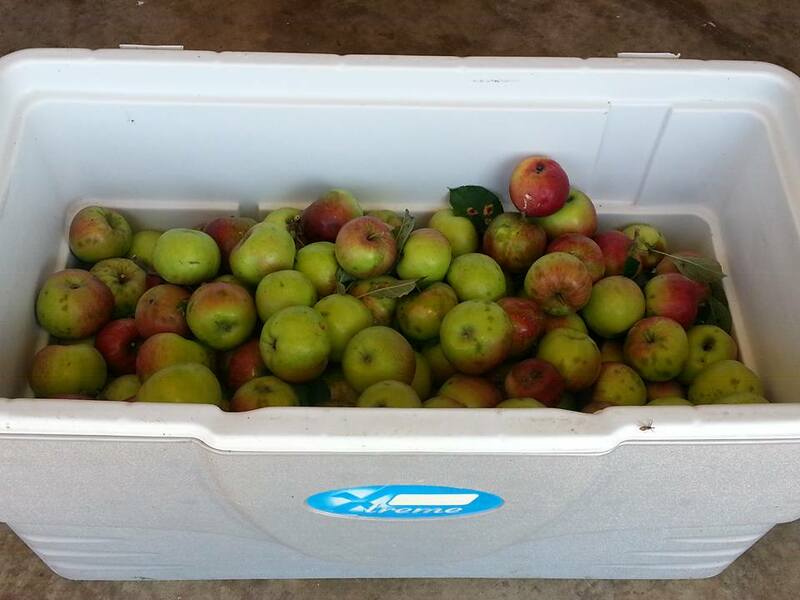 These apples came from our trees in the backyard, but the real treat came from Christ’s Orchard of Elmwood, Illinois. They have been known to use some of our fertilizer recommendations on their trees and the fruit is oh so tasty. And the bouquets. Oh the bouquets. They were even prettier than I had ever imagined. Even from the day I picked them out. The dress. Oh the dress. It was magical. 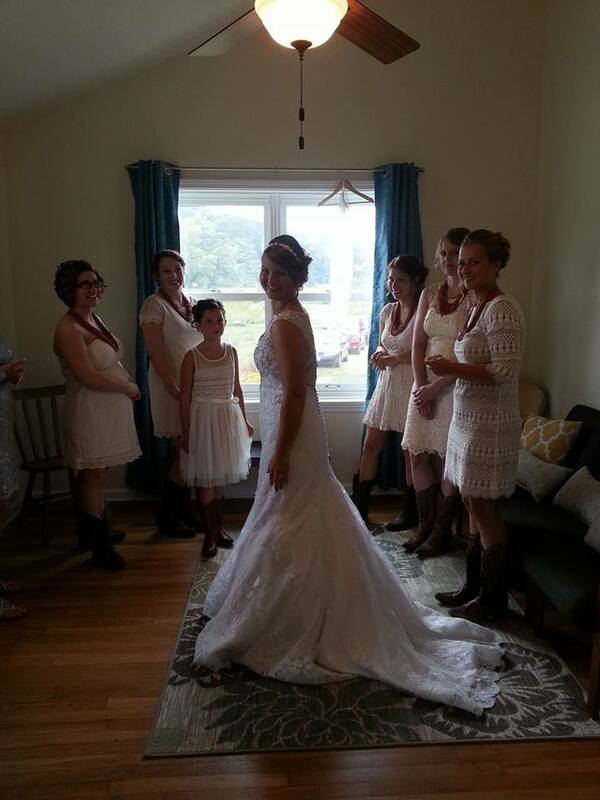 From the beading, to the train, to the veil, to the many intricate buttons down the back, to the lace, it was a match made in heaven (both the dress and my groom). The ceremony. Oh the ceremony. It was perfect! Instead of a unity candle, we did a unity tree. In the office, we joked this part would be an AER commercial during the wedding, promoting our fertilizer, fish, etc., but in all seriousness the tree was perfect for us. I am so excited to watch this tree grow much like our love will over the years. We planted a patio peach tree. It can stay in a pot on your patio all year long, even in the winter months. It’ll produce a bushel of peaches each year. We each used soil from each of our farms and our parents watered it. For us, it symbolized our love with roots that grow strong underground (where no one sees), joining our 2 lives (and farms) as one, and of course all the “fruit” that will come with time. All in all, it was an absolutely beautiful day and the love shared between family, friends, and the AER family could not have been stronger.